First of all I would like to say that the Logitech M600 Touch Mouse does not offer anything that is not already available in the market, but it does provide what is already out there very well.The Logitech M600 Touch Mouse was made to combine the Mouse and Touchpad, and this aim has been achieved successfully. The Logitech M600 Touch Mouse looks just like any other similar device other than the fact that the right and left clickable buttons of the mouse are really well disguised in the gloss and attractive finish of the device.The colors are your standard black and grey that many similar devices use in today's market.There is space for the 2 AA batteries go in, and there is the on / off slider. If you are a heavy user, you will clearly notice that the Logitech M600 Touch Mouse is a little small, especially for those who have bucket hands.Your wrist seems to drag along the surface below the mouse and this, after a while of usage will certainly give you a "Gamer's Wrist".Apart from this, I really liked the design. The Logitech M600 Touch Mouse does not need any set-up or software installation, it is just a plug-in and use kind of device, which comes in handy if you regularly switch your mouse between your Desktop and Laptop like I do.The drivers take about a minute to install, but no software required. The Logitech M600 Touch Mouse has up / down scrolling using two fingers, but you don’t get sideways scrolling, I was a little disappointed by this. The gesture response is precise and instant. The two mouse buttons somewhat defeats the purpose of having a touch device like this and it is very confusing to know when to use the touch gestures and when to use the conventional mouse buttons. 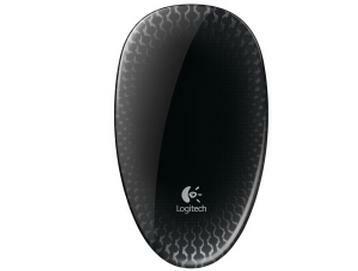 One good thing about the Logitech M600 Touch Mouse is that the whole touch gesture and the device response is very smooth and you will not find any inconsistencies or hassles with the device. The biggest downer is the price, which is at Rs 3999.For about Rs 600 less, you can get the Microsoft Arc Touch Mouse which is as good if not better than the Logitech M600 Touch Mouse.